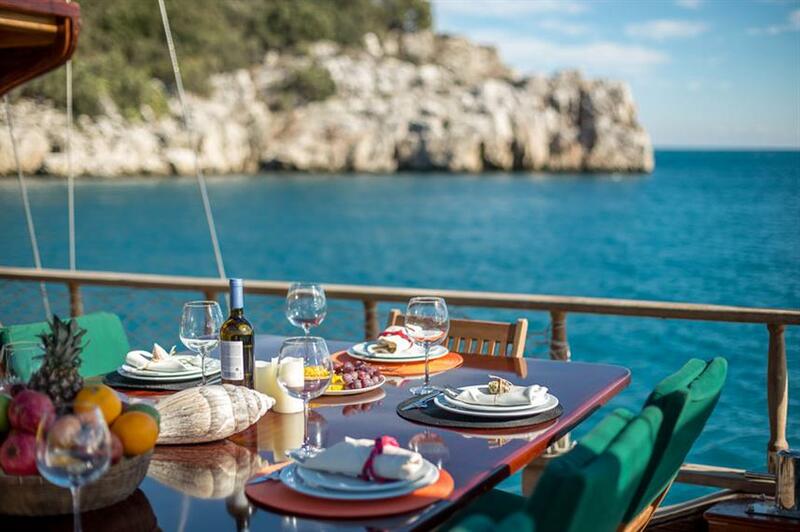 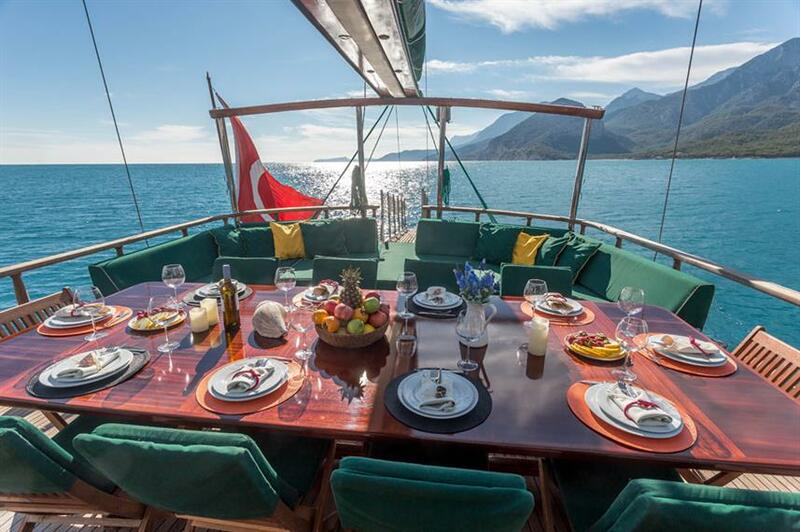 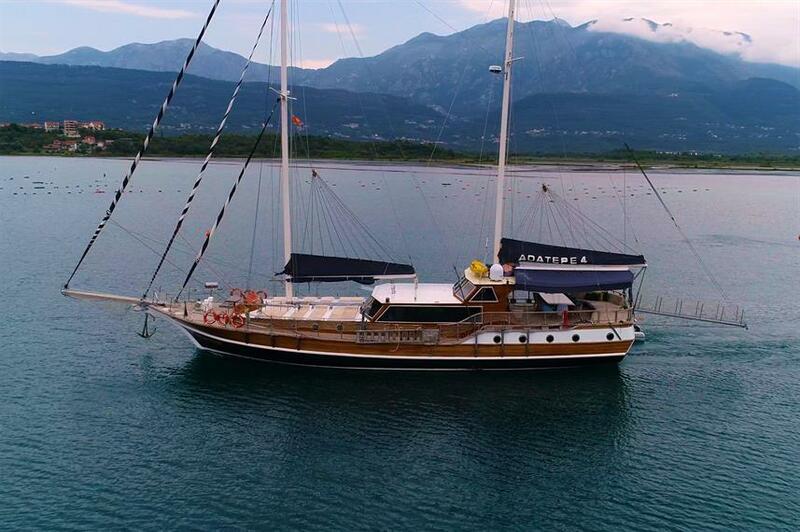 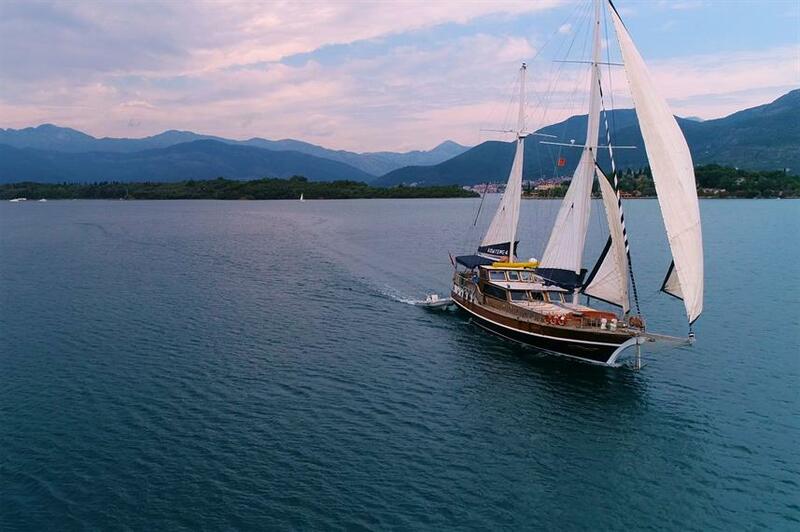 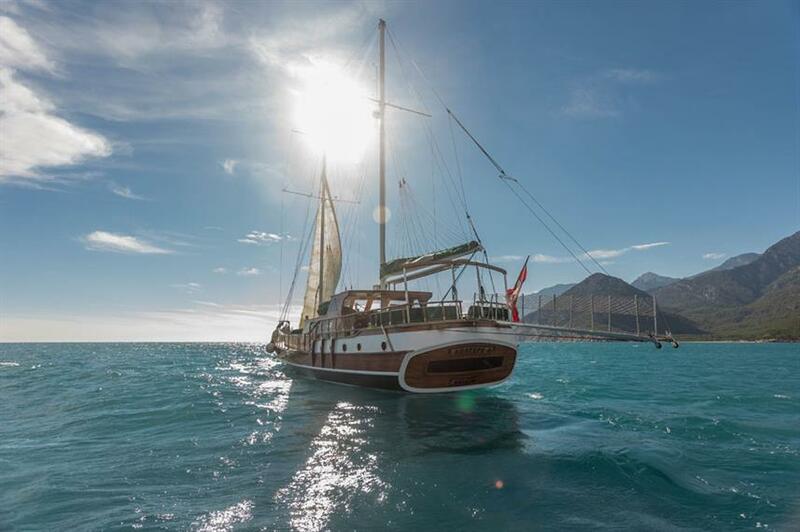 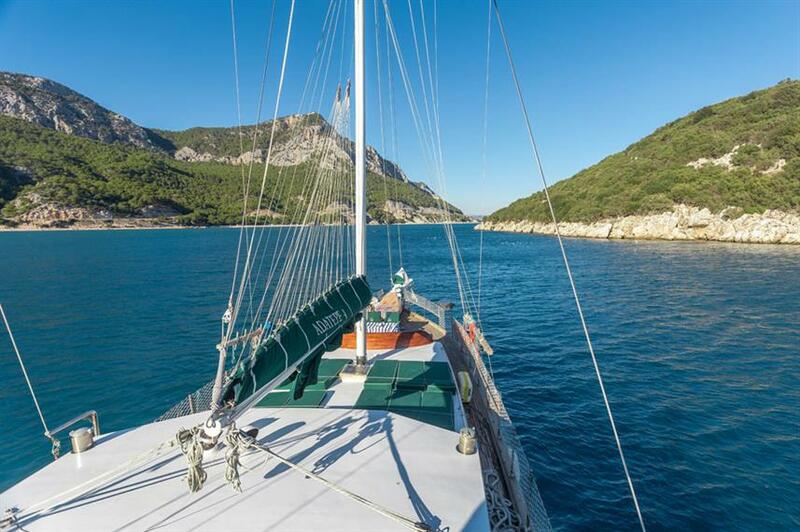 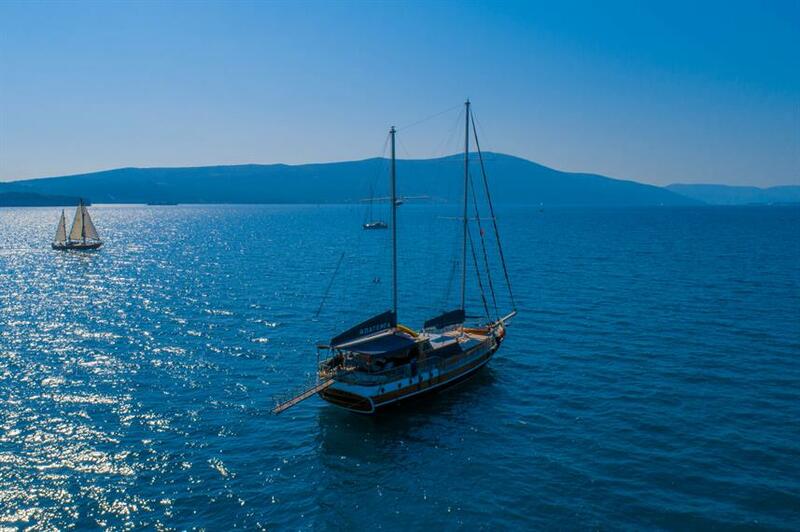 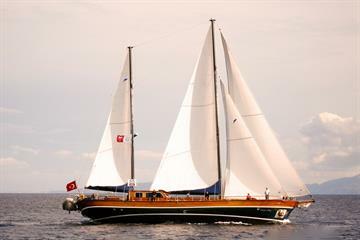 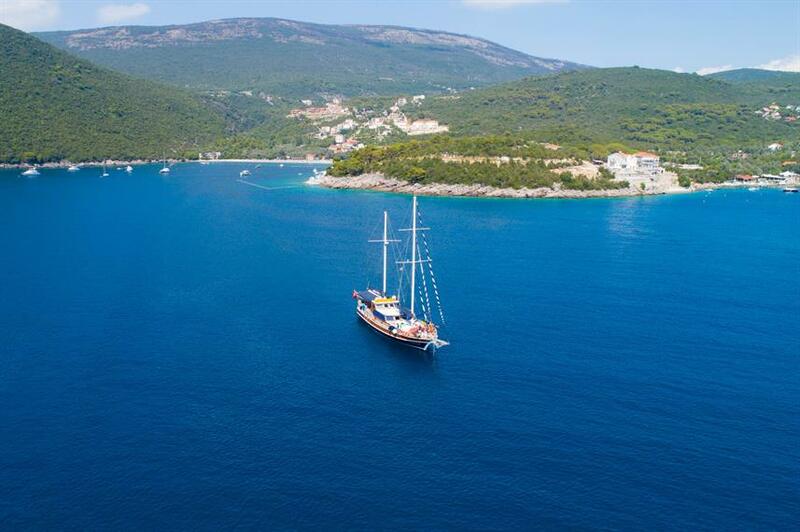 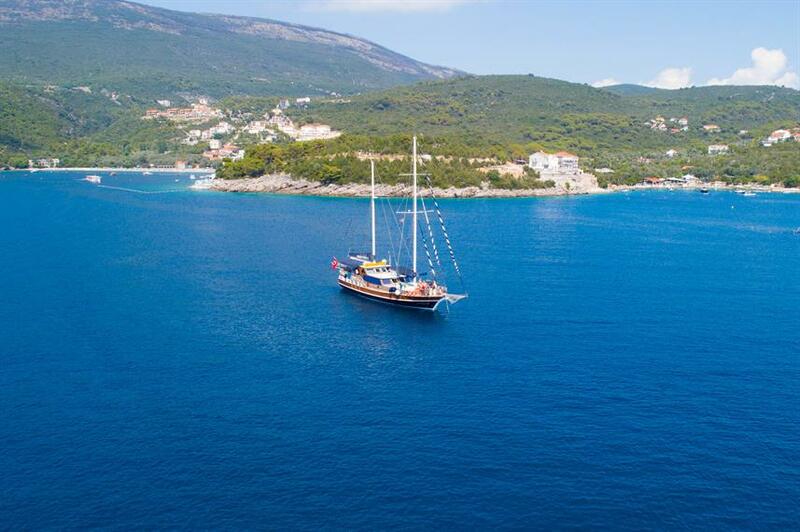 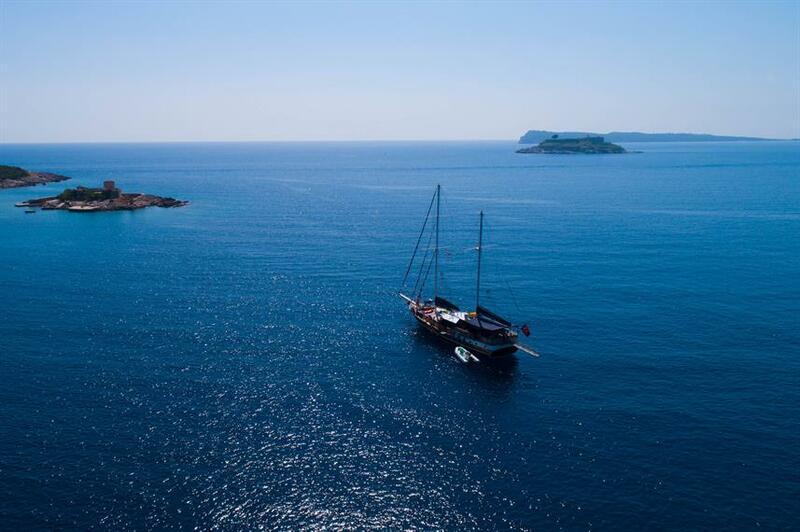 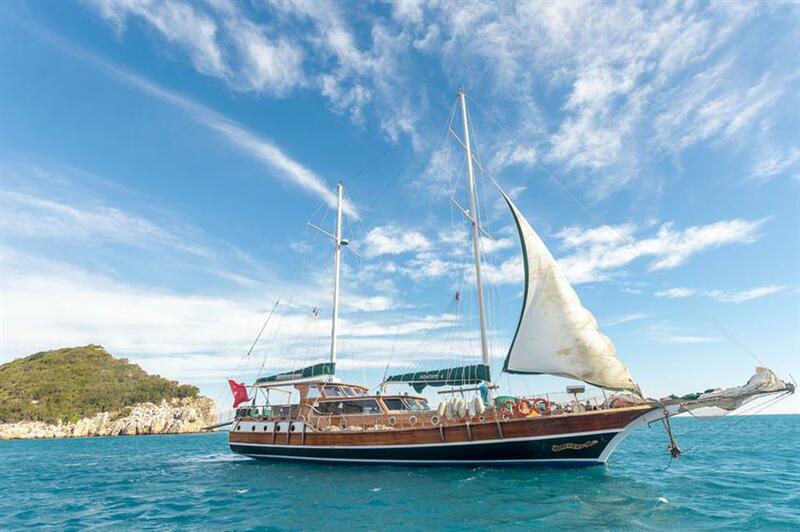 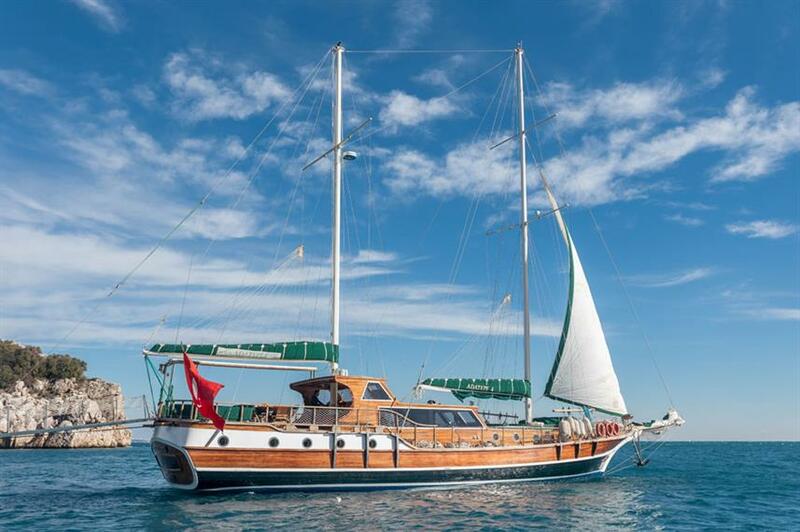 The Adatepe 4 is a classic gullet offering sailing cruises in Montenegro from April to September each year. 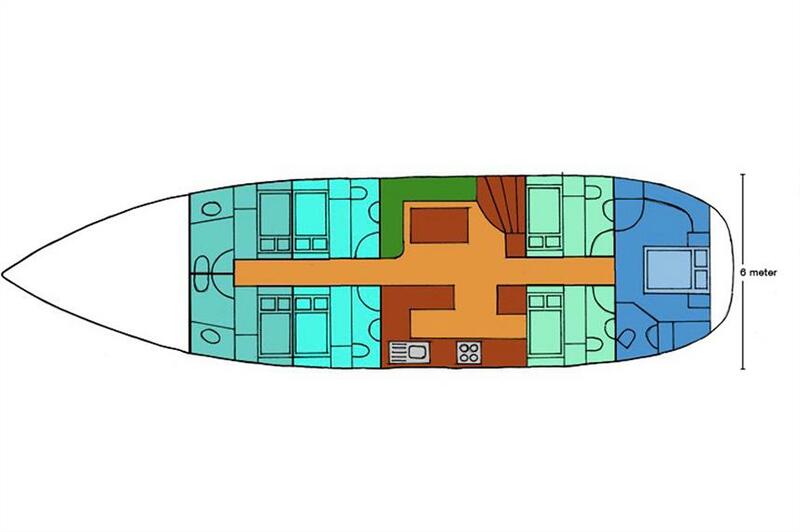 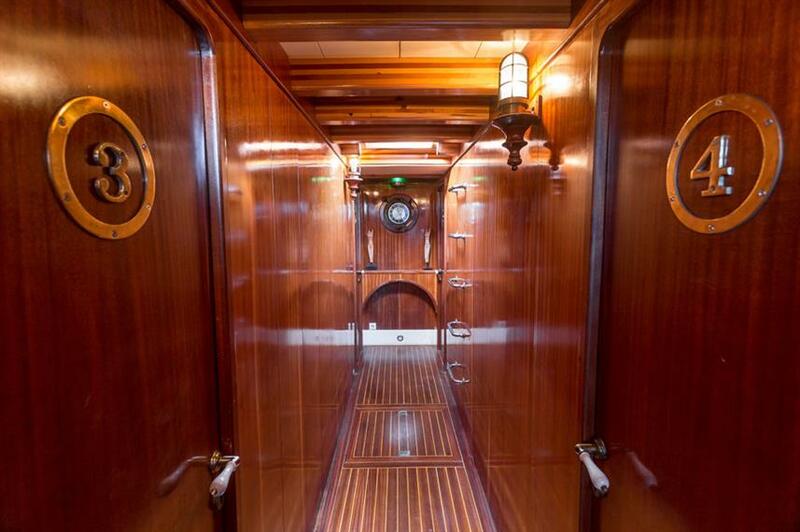 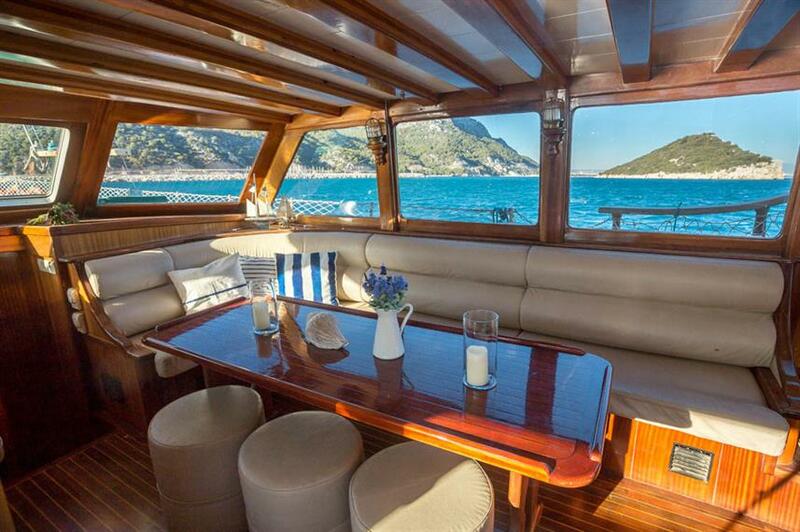 Catering to just 12 guests, she has 6 cosy double-bed en-suite cabins. 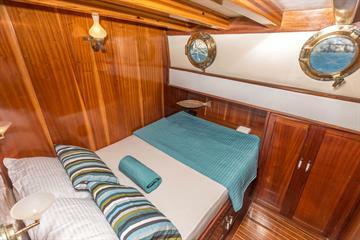 Located on the main deck are the indoor dining area and saloon with TV and entertainment system. 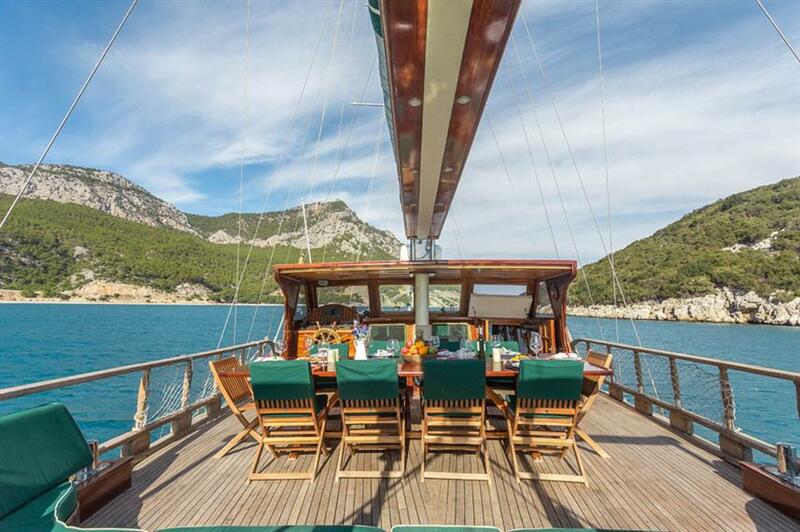 This leads out to the al fresco dining area, outdoor lounge and sundeck with padded loungers - the perfect place to relax with a drink from the bar whilst enjoying the stunning scenery. 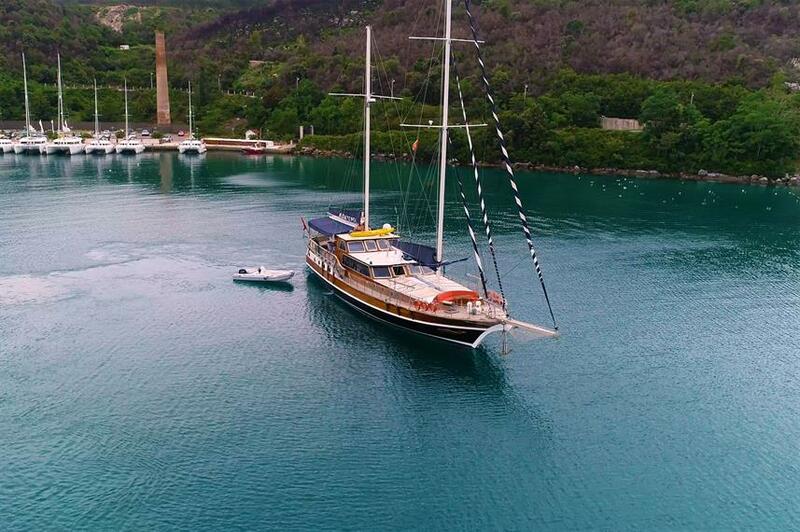 A hearty breakfast is included every morning, along with six 3-course lunches, along with a welcome dinner, captains dinner and complimentary fresh fruits, coffee, tea and water available all day. 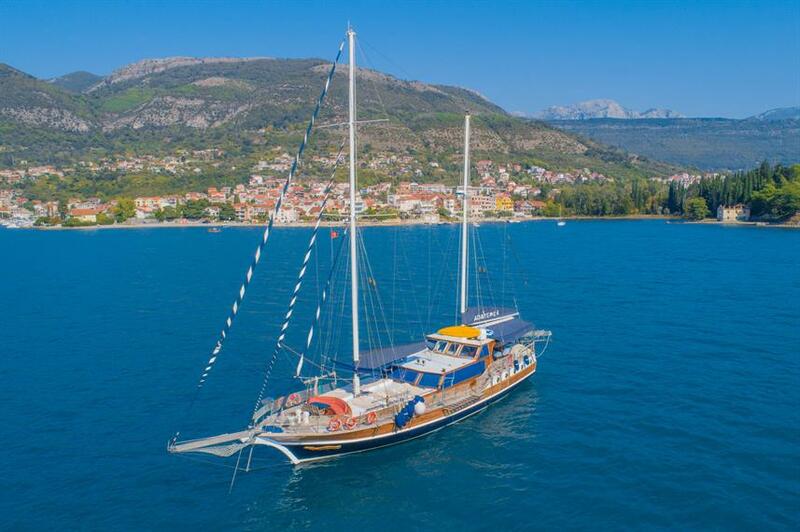 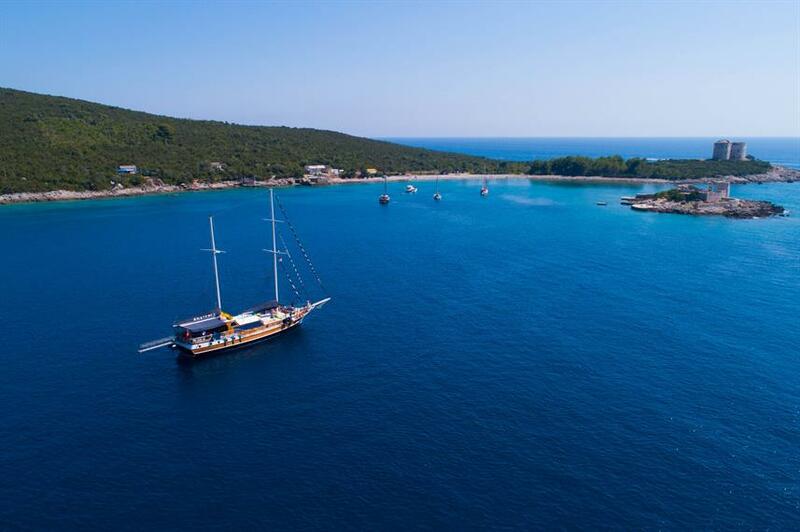 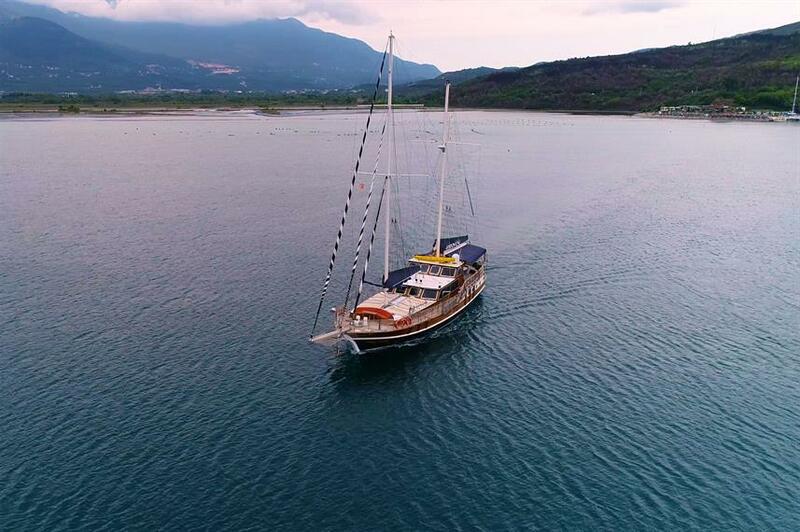 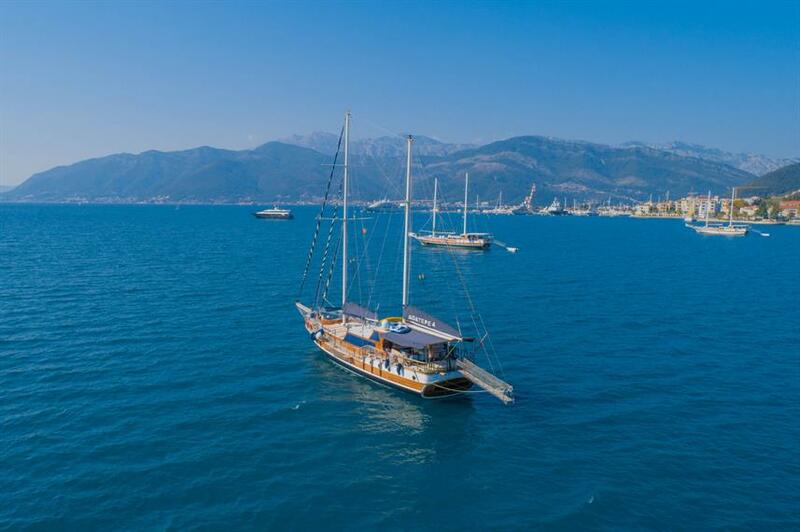 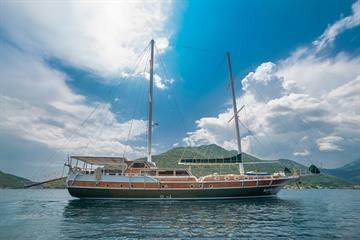 The Adatepe 4 sailboat offers the 'Pearl of Adriatic' cruise, perfect for exploring the Montenegro coastline in comfort. 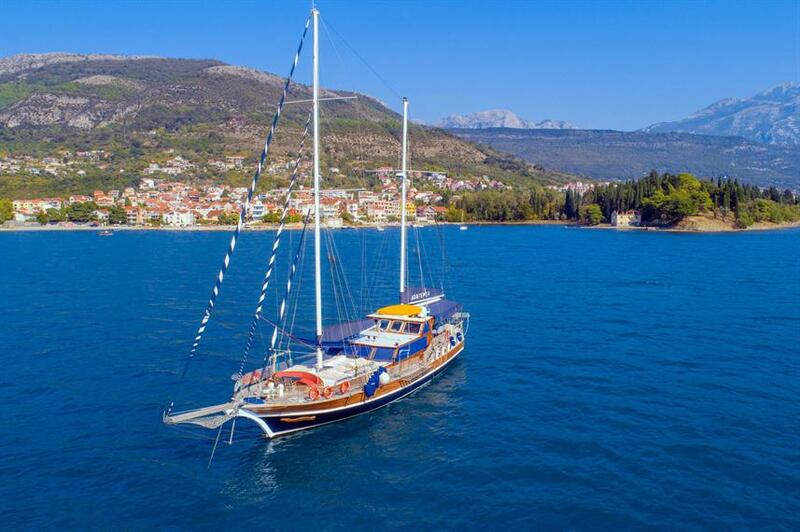 Cruises are 7-nights long and stop off at several coastal towns including Perast, Budva, Herceg Novi, Tivat and the UNESCO World Heritage site of Kotor. 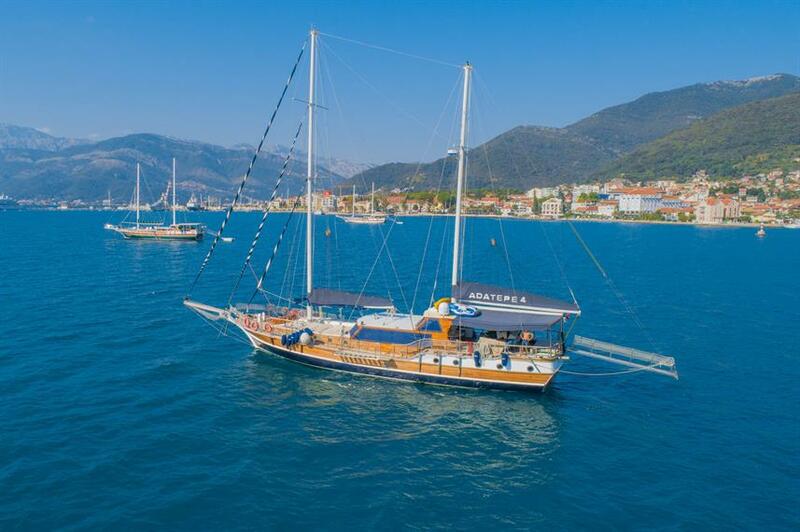 Museum visits, old town exploration, swimming in crystal clear waters and enjoying the gastronomic delights of Montenegro are all on the agenda. 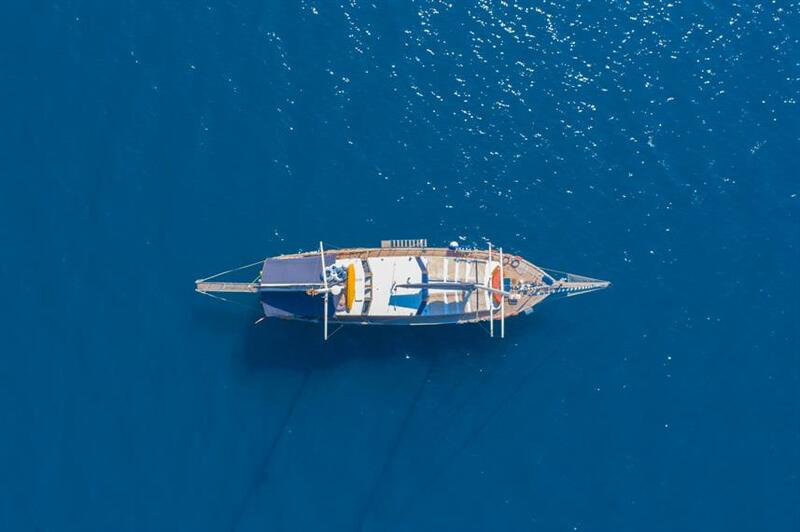 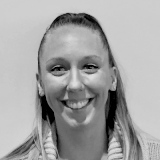 Cruises are perfectly planned to also allow plenty of time for relaxation and use of the onboard kayaks, paddleboards, fishing gear and snorkel equipment. 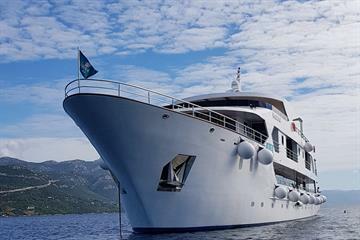 The experienced captain, crew and guide are on hand to show you the delights of Montenegro this summer. Call us or book online today to reserve your space. 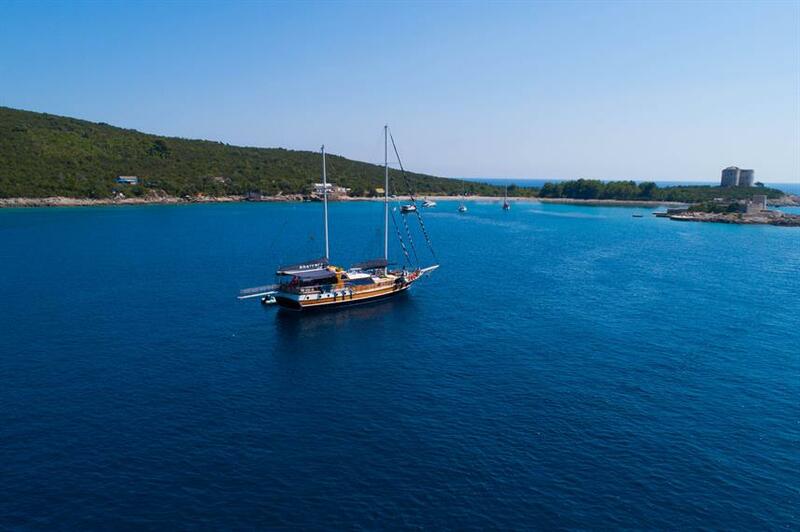 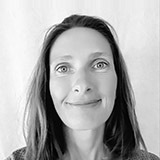 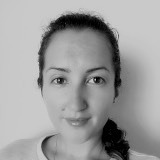 Included: VAT, Fuel Surcharge, Port Fees, Airport Transfer, Hotel Transfer, Drinking Water, Tea & Coffee, Welcome Cocktails, Half-Board Meal Plan, Snacks, Special Dinner, Fishing, Kayaks, Snorkel Gear, Stand Up Paddleboard, Beach Towels, Cabin Towels, Complimentary Toiletries, WiFi internet. 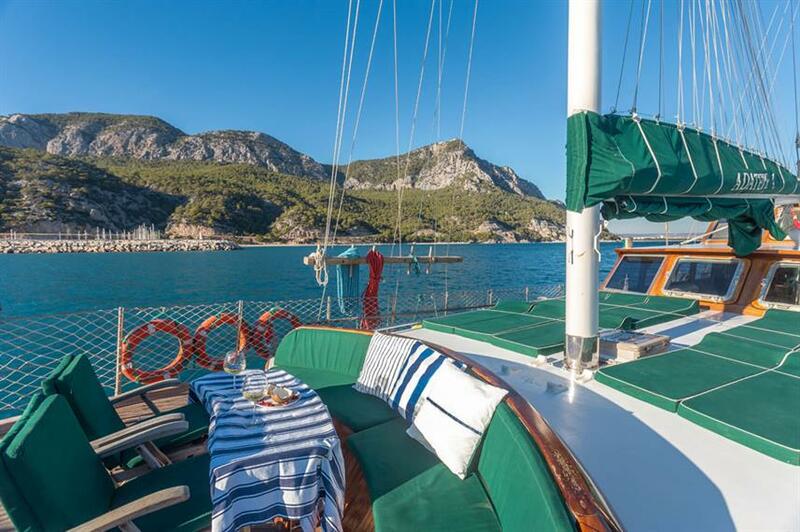 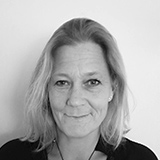 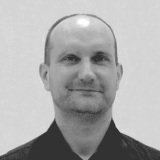 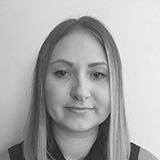 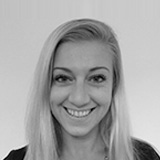 Optional Extras: Travel Insurance, Alcoholic Beverages, Soft drinks. 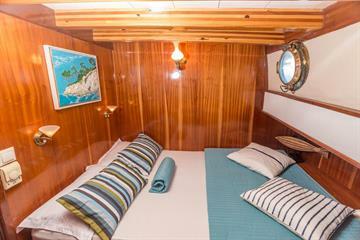 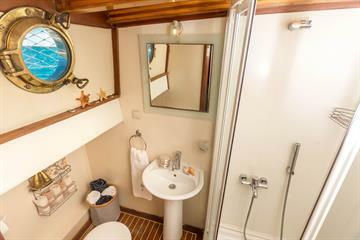 6 Cabins onboard, equipped with double bed, aircon (6hrs per day usage) and en-suite bathroom.